I am going to share with you how I plan out our meals and how I do my grocery shopping. It definitely isn't for everyone, but maybe it will give you some ideas. First off, why do I do it this way? Our income is such that we get "paid" once a month and so I do our major grocery shop once a month. Is this a perfect plan? Not in the least, but with the occasional tweak here and there, it hasn't been too bad! I use a calendar-type template to write out the month's menus. It goes into a clear page protector. I have a library of cookbooks, as well as Pinterest, so when I make up my menus, I write the recipe on index cards and put them in the page protector behind the menu. 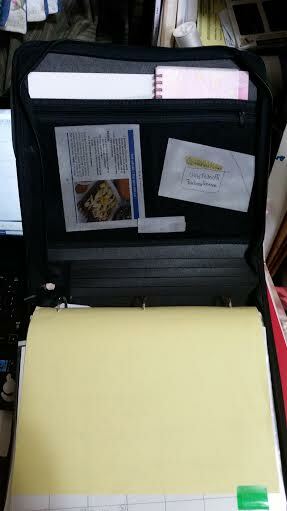 After I use a particular recipe, I file it into my recipe file box for future use. While I am writing out the menus and any recipes, I jot down the ingredients on a separate piece of paper and then I go through my pantry to see what I have on hand. 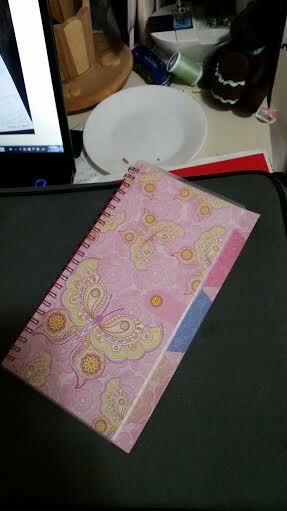 Then, I take that list and write out the grocery lists- yes, lists. I do up one major one that includes the meats and pantry things, such as canned and frozen goods, etc. 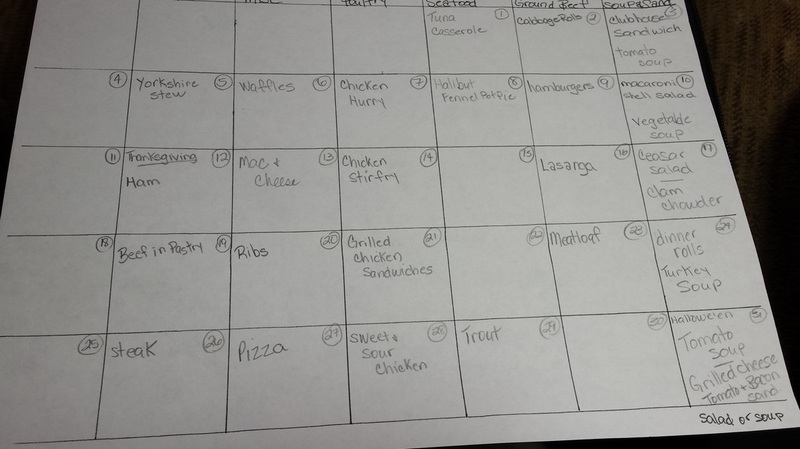 Then I do up three smaller lists, one for each week of the perishables needed for that week. I have a small notebook in my purse where I write these lists so I have them with me at all times. I budget around $40 a week for perishables. That bill is never that high so I always have anywhere from $20 to $30 left over and I use that money to stock up on things that are on sale that week for my pantry. I buy all my meat in the big family size packages and divide them into meal size for us freezer bags. I can get three to four meals from each big package, depending on what meat it is. Last month, I bought two family packs of steak and when I had separated and cut them up, I had 18 just-right pieces of steak. I wrap each piece in fold over sandwich baggies and lay them flat in the freezer above my fridge over night and then they get put into the big freezer bags and go into our deep freezer. I also buy frozen veggies in the biggest bag I can and I put two cups of veggies into a small freezer bag and they go into the freezer, too. Same with any frozen fruit. We like the occasional smoothie and so I divide accordingly. I also divide fruit into recipe size portions so I can make say blueberry muffins, or waffles. Recently, I had to revise my Thursday's seafood menus and turned it into another miscellaneous night, keeping at least one seafood item on the menu. 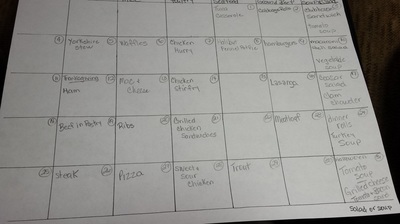 One of our sons always treats us to a take-out meal on his paydays, which means an adjustment to the menu plan, but that's the great thing about the way I do my menus - they are easily switched around to accommodate any situation. In a nutshell, this is how I do my menu planning Beginning next week, I will be sharing my menus on a week by week basis. I hope this helps you in your meal planning adventures! We'd love to hear your way of doing things. Comment below to share with others!